One of the most common forms of insurance claims that an insurance company gets and an insurance adjuster firm settles is the claims made from water damage. While it is true that water gives life, water can also be notoriously destructive. Be it damage to house and possessions from floods, rains or plumbing, the results are all the same: extensive harm to life and property. While many are insured again water damages, not many are aware of the ways to put in a water damage claim and are often unsure as to what makes them eligible for such claims. We at Musick Loss Management Inc., strive to make this process easy for you. 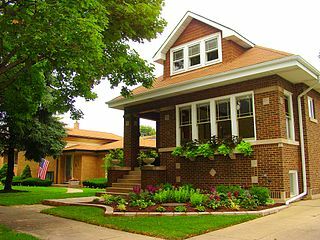 We offer our services in Chicago, Niles, Deerfield, Northfield, Park Ridge, Des Plaines etc. It is only second nature to us to be there for you in your difficult times. Here are 3 things to remember while making damage claims done by water. Have a look. The first thing to do is to take into account the losses incurred and the amount of money they cost. Since it is the monetary value of damaged or lost items that you will get, it is important to make an estimate in terms of money needed to replace the items. No firm will be willing to settle your claims if their terms and conditions set forth in their insurance policy are not met with. Thus while filing claims your paperwork must be flawless and should not be a basis for the rejection of your claim. It must be impressed on the insurance company that you claim must be settled as quickly as possible as leaving things the way they are can cause further detriment to your already damaged house and property. So if you need our expertise and assistance, visit our office at once.